Four British drivers – and tens of thousands of others – fall victim to the Austrian toll sticker regulations, particularly the need to attach it to the windscreen (though there is one exception). Also, slim pickings for traffic police at the Belgian Grand Prix. Condor’s Liberation makes a bizarre non-stop in Guernsey. Thousands fined for not fixing toll sticker to windscreen. A group of four British drivers were fined €120 each yesterday after falling foul of Austria’s toll sticker rules. Despite all of them having bought the vignette shortly before – and having the sticker, and receipts to show for it – they were fined nonetheless, and on-the-spot, for not attaching it to the windscreen. Understandably upset, one of the group asked us how to claim a refund but unfortunately there is no recourse. 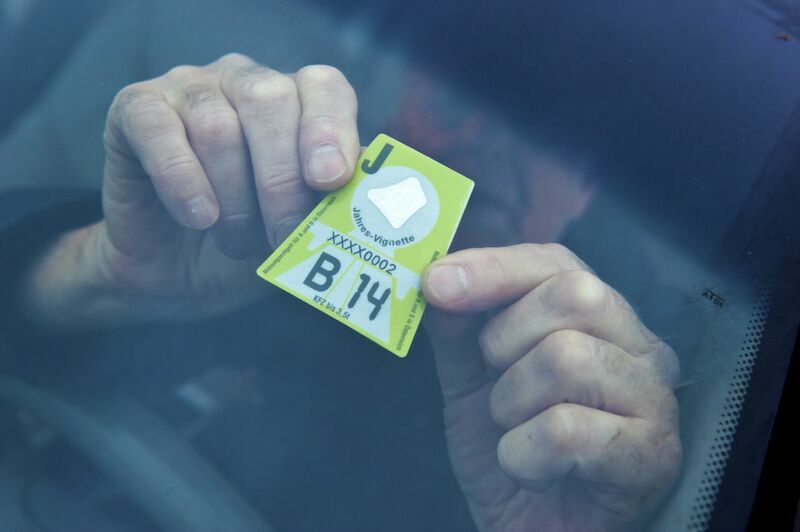 The rules are designed to prevent the stickers – known locally as Pickerls – from being used on other vehicles. Just over 160,000 drivers were fined in Austria last year for vignette violations. Not all of them were fined for not attaching it properly. Many of the 64,000 German drivers included in that number were apparently not aware the toll sticker exemption on the A12 (Munich-Innsbruck) motorway south of the border at Kufstein was removed in 2013. But failing to attach the vignette as per the rules is by far the most common problem according to the ADAC. Attaching it properly means completely removing the backing film, and not using sellotape or glue, for instance, or any other method except the sticky surface on the front. Just leaving it on the dashboard is strictly verboten. The – very – fine print on the back of the vignette includes instructions in English. The system is enforced by roadside police inspections and a network of high resolution video cameras which can tell, believe it or not, whether the vignette is correctly fixed. Virtually the only allowable appeal for a toll fine is if the seller punched the sticker incorrectly, on the markings around the edge which show the valid dates. Drivers are strongly advised to keep both the backing film and receipt as proof of purchase. Quick vignette: the windscreen sticker allows drivers to use the Austrian motorway and expressway network (and motorway rest areas). There are exceptions, including the A13 Innsbruck Brenner autobahn which is tolled separately, see more. The cheapest vignette is valid for 10 days (€8.70, car up to 3.5t). Two-monthly (€25.30) and annual vignettes (€84.40) are also available. Drivers who do not use the motorways do not need a sticker but those who do should buy it before they use the motorway, e.g. from petrol stations near the Austrian border in neighbouring countries. For more information in English see national road manager ASFINAG’s website or this leaflet. 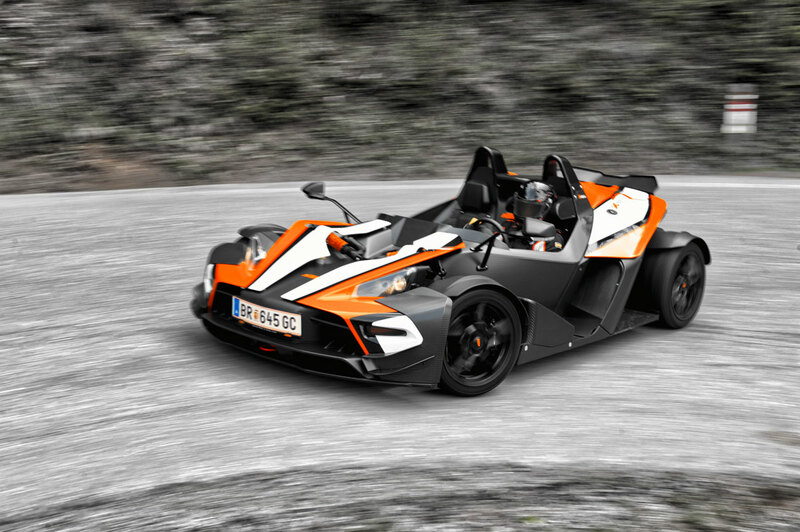 Only vehicles type-approved without windscreens – such as the Austrian designed and built KTM X-Bow, above – are exempt from windscreen vignette rules. Even then the sticker ‘must be kept on the driver’s person’, and left clearly visible inside the car when parked up at a motorway service station. While toll stickers from other countries like Slovenia and Slovakia need to be validated by filling in the car’s registration details on the back, the Austrian version does not. It means friends or family members with windscreen-less vehicles could theoretically share vignettes – as long as they didn’t use the motorways at the same time – without risk of sanction. As loopholes go however it’s fairly subatomic. roundup: BELGIUM. Traffic police nabbed 859 speeding drivers at the Formula One Grand Prix over the weekend, out of 23,077 vehicles measured, reports Deredactie.be. That makes for a strike rate of 3.7% which compares well to the 6% of drivers caught in the Saarland during Germany’s 24 Hour Speed Blitz earlier this year. Belgian police also confiscated a relatively few fourteen driving licences while four drivers were found DUI and three uninsured vehicles were seized. CROSSING THE CHANNEL. Passengers on Condor Ferries Liberation expecting to disembark in St Peter Port yesterday afternoon were instead taken on to Poole after a cruise ship moored in the harbour apparently refused to move. A statement from Condor said, ‘As a result of the high wind speeds, with the other ship unwilling to move off her berth, and with safety as his highest priority, the Master of Condor Liberation’s only option was to continue to Poole without docking in St Peter Port.’ However, Guernsey port disputes this version of events and says the high winds were solely responsible for the ship being unable to dock. A strange turn of events all round and still lacking a full explanation. The new-to-Condor Liberation currently operates in restricted weather conditions pending sea trials later this year.